Nightstand crafted with weathered oak veneers features three full-extension dovetail drawers, as well as a hidden charging strip. 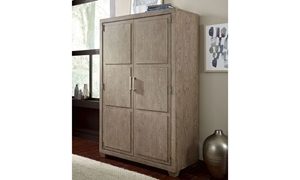 Contemporary door chest features a pair of adjustable shelves plus cable access, five full-extension drawers and jewelry storage. 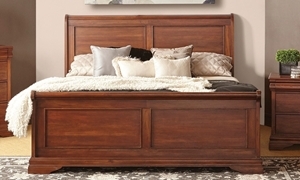 Louis Philippe-style king sleigh bed crafted from sustainably sourced mahogany and finished by hand to showcase the natural wood grain. 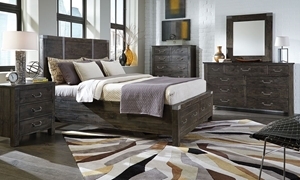 Create an impeccable bedroom with our amazing selection of bedroom furniture. Whether you want to pick each piece individually or simply choose a bedroom set, Haynes Furniture has everything you need to achieve your bedroom design dreams.